The Norbert Rich School Forest is a 43 ½ acre tree farm/forest willed to the Winneconne Community School District by Mr. Rich who passed away in 2012. He created a stewardship forestry plan and was very much involved with natural resource conservation making a sanctuary on his property for many wildlife species. Surrounded by farmland, it is the primary shelter for a large deer and turkey population along with various other wildlife species. 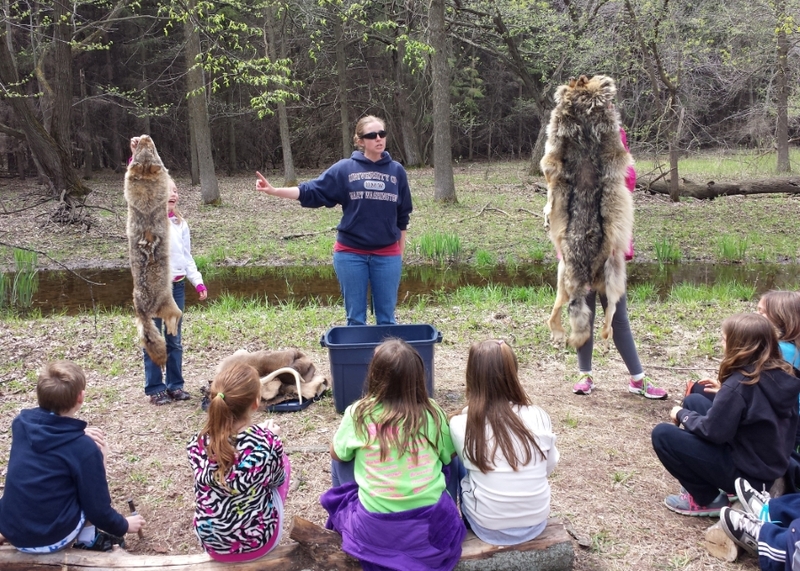 This property provides an outdoor learning experience to students in the Winneconne area. Integrating sustainable environmental education into school curriculum has been proven to increase student critical thinking skills linking to higher achievement on both classroom and standardized test scores. Utilizing this natural setting as an inquiry based teaching tool, students will learn to ask questions, research problems, perform experiments and solve investigations in the environment. By allowing students to experience nature through an active, hands-on approach to learning, they will become more knowledgeable and responsible citizens when making decisions about the environment in the future. Follow Hwy 116 South out of Winneconne towards Omro four miles. Turn right onto Oak Hill Road for one mile. Turn left onto Ginnow Road, continue ¼ mile until you see the driveway into the school forest on the right. Norbert Rich is open during the daylight hours, at your own risk.